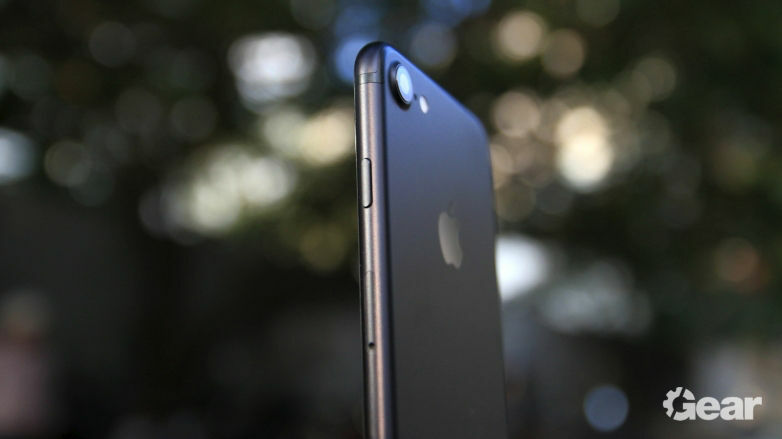 The iPhone 7 is a product of many firsts for Apple. 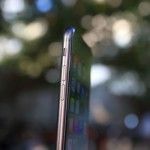 The company has removed the traditional headphone jack from its newest iPhone – a move that has received considerable criticism – and the iPhone 7 and iPhone 7 Plus are also the first iPhones to feature water and dust resistance. Apple’s iconic home button has also received a major overhaul – it’s no longer a real button, with the phone using pressure sensors and what Apple calls the Taptic engine to simulate clicks. Oh, and then there are the stereo speakers, a secondary rear camera for the iPhone 7 Plus, and the increase to 32GB of storage on the base model. But Apple has only made subtle changes elsewhere, including the design, which has remained the same for the last three years. 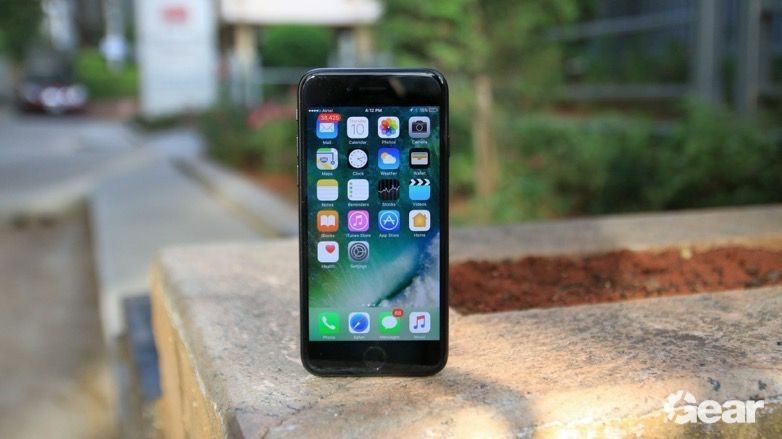 Our Editor-in-chief Asif was vocal about his disappointment over the unchanged design (and the missing headphone jack) in his iPhone 7 Plus review but found the device to otherwise be an excellent smartphone. 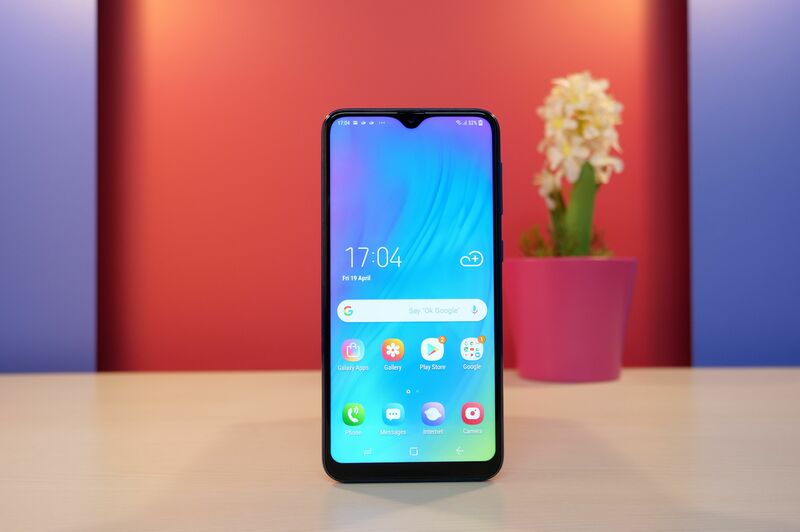 The Plus model of the iPhone is certainly the more popular of the two in a market like India, where consumers have an affinity towards large screens, but we all know a large number of people who still prefer their smartphones in compact sizes. That’s where the iPhone 7 comes in. 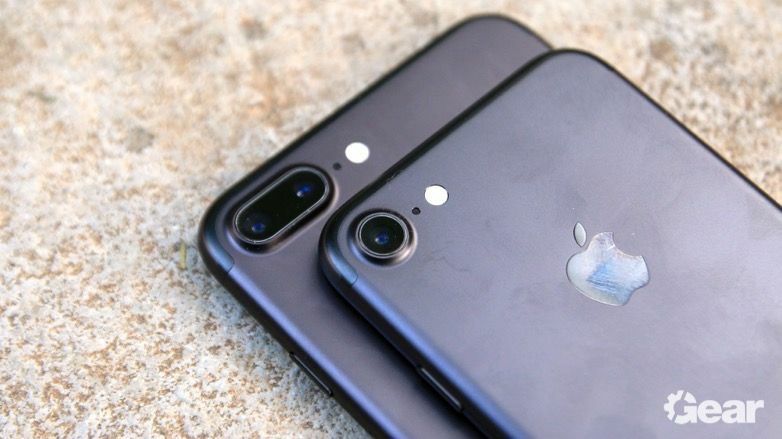 The smaller iPhone continues to feature a 4.7-inch display, and this year, Apple has also made it less of a compromise compared to its larger sibling. 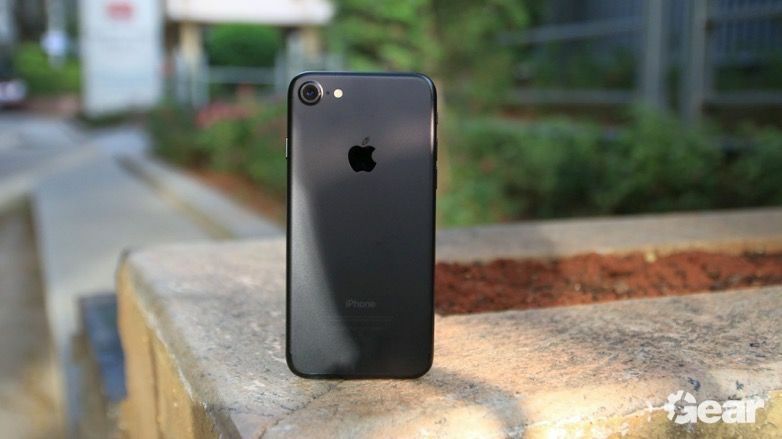 Apart from a smaller battery, lesser (yet still enough to be called Retina) screen resolution, and just a single camera at the back, the iPhone 7 is pretty much the same as the iPhone 7 Plus when it comes to features and specifications. But is the iPhone 7 as good as the iPhone 7 Plus as far as the overall experience is concerned? More importantly, does it offer enough of an upgrade for owners of previous iPhones? 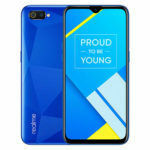 Let’s find the answers in the official Gear by MySmartPrice review. Before we begin, I should point out that this review of the iPhone 7 will not cover its software, as that remains exactly the same as the iPhone 7 Plus’. The same goes for its cameras, as except for the lack of the secondary rear camera and its accompanying features (2x optical zoom and DSLR-level bokeh effects), the iPhone 7 is not any different from the iPhone 7 Plus in terms of image quality. The overall design of the iPhone 7 remains unchanged from the iPhone 6S. The display is still the same size, the bezels around the display are still bigger than they should be, and the rear camera still juts out. 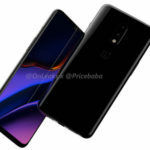 The only real noticeable change is the redesign of the antenna bands at the back – instead of running straight across from edge to edge, they now go around the top and bottom curves of the device. Thanks to the smaller display, the iPhone 7 does well in one-handed usage. 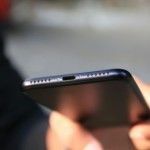 I don’t recall a single moment when I felt the phone was slipping out of my hand or being unwieldy, and the only times I used both hands on the device were when I was using the camera, watching a video, or playing a game. Of course, since this is an iPhone, the build quality is top notch. The design might not have changed in three years, but I personally feel Apple’s design language is still attractive enough to not feel outdated. After all, other than Samsung’s curved Galaxy S edge smartphones, every other phone’s design looks rather generic today. Like the iPhone 7 Plus, the iPhone 7 gets water and dust resistance to make it more comfortable for you to use the phone in the rain and out on our dusty Indian streets. In contrast to other water resistant smartphones, the iPhone 7 has great loudspeakers as well. Its water and dust resistance isn’t as highly rated as the Galaxy S7’s, but that won’t really make a difference in day-to-day usage for most folks. As for the new ‘Taptic’ home button, I find it to be much better than a full blown button. While the original iPhone button is pretty much iconic at this point, many folks were tired of having to press it every time they wanted to wake the phone up or go to the home screen. The new button gives enough of a click-y feeling without needing a full press, and it’s especially useful when you have to double tap it to access the multitasking screen. Don’t listen to the naysayers on this one: the iPhone 7’s new home button implementation is great, and you will realize that a few days after using the device. Just like the government’s decision to put ₹500 and ₹1,000 rupee notes out of circulation for the greater good, the removal of the headphone jack is bound to be a problem for the common folk despite Apple’s best intentions (which is to make wireless audio a bigger reality). In a country like India where people save for months to buy an iPhone, it’s silly to expect them to then invest in a good pair of wireless earphones. Sillier still is the fact that they will have to use the lightning to 3.5mm connector to use their existing wired audio gear, and also remember to keep that connector with them every time they are going out. I’ll put in my personal experience here once again. I am not a big fan of using earphones/headphones and have not really faced a problem with the iPhone’s lack of a headphone jack. I use Bluetooth streaming in my car (which offers lower sound quality than an AUX cable, but higher convenience), and Bluetooth speakers to listen to music at home or the nice-yet-not-very-costly speakers I have attached to my desktop computer. 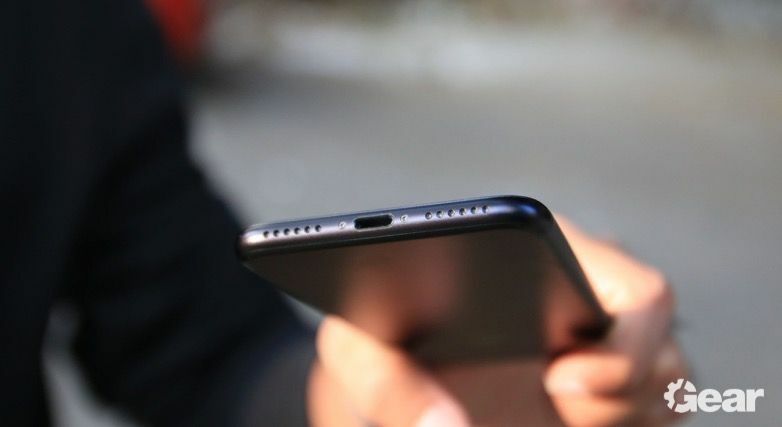 I completely understand how the headphone jack is indispensable in today’s world, but the lack of it on the new iPhones is something you will have to bear with if you intend to get the latest and greatest from Apple. At 4.7-inches, the iPhone is still the smallest flagship smartphone on the market, at least when it comes to the size of the display. The overall size of the phone is still a tad too large because of the bezel above and below the display, but as long as Apple sticks to a circular home button, that bezel will be necessary to maintain uniformity in the overall design. 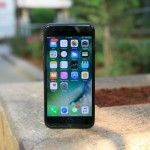 When it comes to display quality, the iPhone 7 – like the iPhone 7 Plus – has the best LCD display on any smartphone today. It’s bright, shows accurate colours that don’t look dull, and despite the lower resolution than on the Plus model, looks sharp. 3D Touch makes a return, so you can press slightly harder than usual on an app’s icon or in other parts of the interface to access additional options. But how much you use 3D Touch depends on the kind of user you are. Most folks will probably never make use of the 3D Touch functionality, except to maybe take a quick selfie by pressing hard on the camera icon. But those who do, will find 3D Touch to be rather great, especially with the additional features Apple has built around it in iOS 10 (for more information, check out our iPhone 7 Plus review). The only issue I had with the iPhone 7 was the display size. 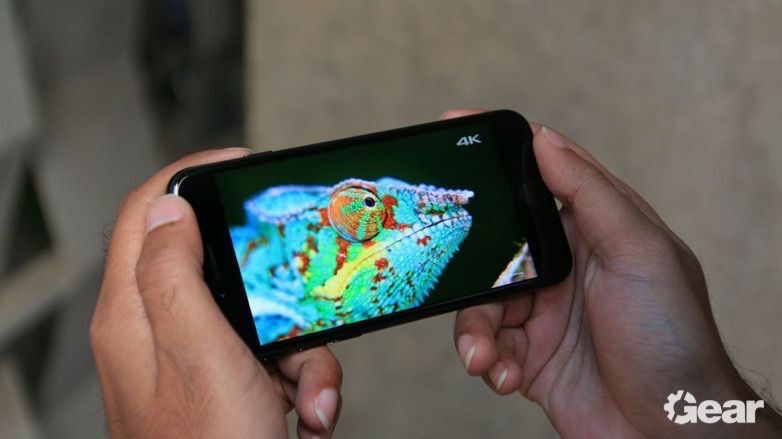 Being used to 5.5-inch Android smartphones, I had an issue with the 4.7-inch screen at times. Typing on the keyboard was the biggest hurdle – it’s easy to hit the wrong keys, and if you’re used to larger phones (even those with 5-inch displays), you will have to make a few changes to your typing habits. And iOS doesn’t make things easier either, with its small interface elements that remain the same across both the standard and the Plus models. 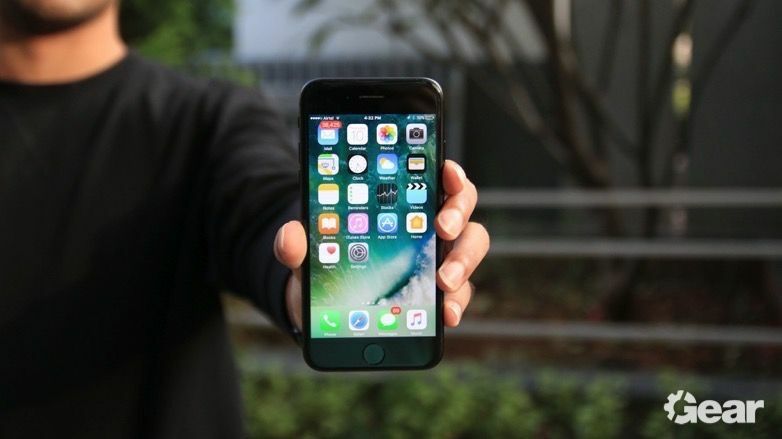 For those of you thinking of switching from an Android phone to the iPhone 7, I would suggest you to go with the iPhone 7 Plus, unless a compact smartphone is what you are looking for. We have already heaped praises on the stereo speakers on the iPhone 7 Plus, and I’ll do it here as well. Every other water resistant phone you can find in the market compromises on the quality of the loudspeaker (thanks to the waterproofing membrane that covers the speaker), but the iPhone 7 doesn’t suffer in the slightest. Its stereo speakers (one at the top of the display, and the other at the bottom, next to the lightning port) are great – they get very loud and also have noticeable depth to the sound, with pretty much no distortion even at the highest volume. The first time I started playing a game (N.O.V.A 3 by Gameloft), the iPhone 7 blew me away with its sound quality, something only the HTC One M8 has ever managed to do (the HTC 10, with the same implementation of stereo speakers, isn’t as great). It’s another reason why the missing headphone jack didn’t really bother me, and these speakers make for a wonderful listening experience. I wasn’t as enamored by the supplied earphones. At the highest volume, the earphones can be quite discomforting thanks to their focus on high frequencies (treble), which results in overly sharp audio. The earphones don’t have a lot of bass, and Apple continues to offer, what you call, average quality earphones with its iPhones even here in 2016. It’s sad, given how much the iPhones cost, but I guess this has never been a problem for the millions of people buying these devices or Apple would have done something about it by now. The iPhone 7 Plus offers screaming-fast performance, and so does its smaller cousin. 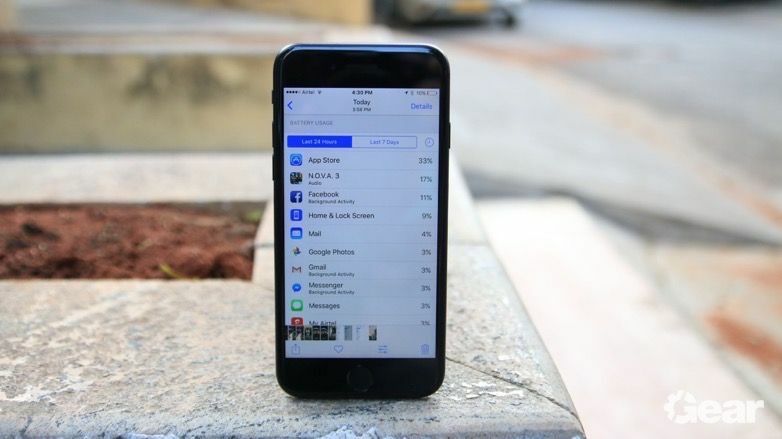 The iPhone has always been the device to match up to when it comes to smartphone performance, but no device has actually managed to come close to the smoothness and quickness of an iPhone. There are many reasons for this. Apple’s tight control over and integration of its software and hardware is one, and the company’s desktop-class processors are another. 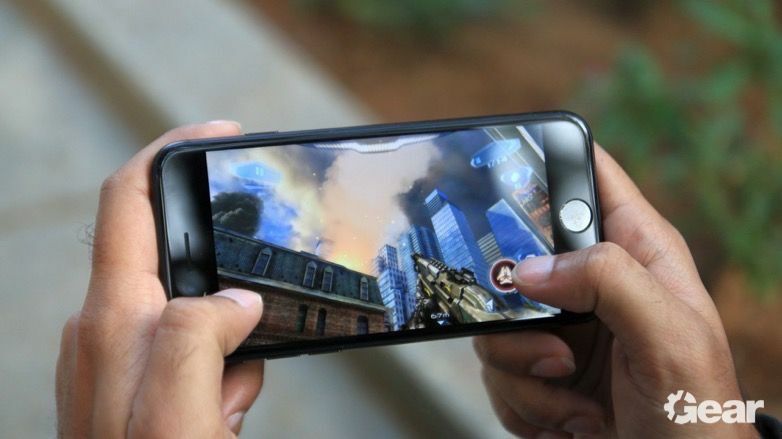 Without getting too technical, let’s just say that the iPhone 7 is the fastest smartphone you can buy today, whether it be in terms of general usage or something as graphic-intensive as gaming or even video editing. 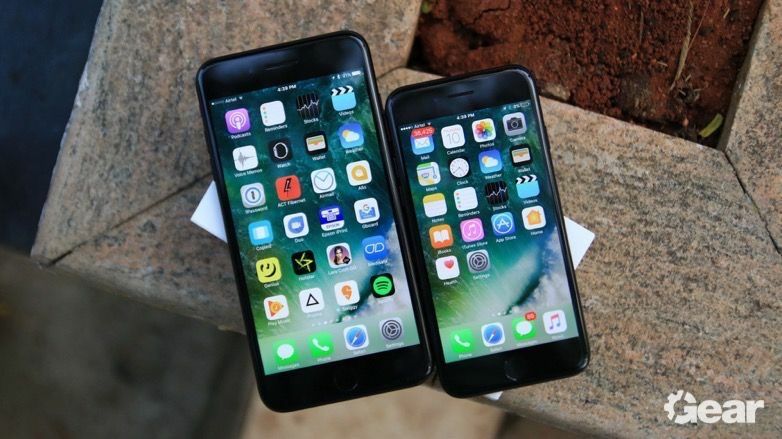 The iPhone 7 has 2GB of RAM, which is one gigabyte less than on the 7 Plus, but you will be hard-pressed to notice any differences between the two when it comes to multitasking. This is, in part, because even with 3GB of RAM, Apple doesn’t let too many apps run in the background, which means you aren’t missing out on anything. The iPhone 7’s lower screen resolution (750x1334p, which is much lesser than the Full HD resolution of competing phones) also means that apps require less memory to run properly. Except for being future-proof, the iPhone 7 offers plenty of RAM to handle anything you throw at it. 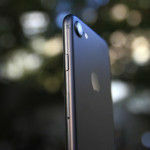 Apple’s TouchID fingerprint sensor is fast as ever – you only need to keep your finger on the home button for a second to unlock the device or authenticate an app purchase in the App Store, and the only time you will see the iPhone 7 falter with fingerprint detection is, well, never. 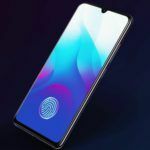 Okay, so placing your finger on the button the wrong way when you’re in a hurry or just distracted might result in a missed detection, but that is true for any smartphone with a fingerprint sensor in the market. If you were getting weary of all the praises I’ve heaped on the iPhone 7, this is where things begin to go downhill. For the third year in a row, Apple has launched its 4.7-inch iPhone flagship with a small battery (1960mAh) that doesn’t last an entire day except on extremely frugal usage. While it is impressive that a smartphone as powerful as the iPhone 7 can last as long as it does with such a small battery (thanks to Apple’s optimization and iOS’ draconian control of background apps and services), there is still simply no excuse to ask people to fork out ₹60,000 for a smartphone with battery life that makes you reach for the charger by the end of your workday. The iPhone 7 also takes up considerably more battery when idle than the iPhone 7 Plus. Apple really needs to put in a bigger battery on its next non-Plus iPhone. If removing the headphone jack is a courageous move, a bigger battery is a sensible one that Apple should have made years ago. Thankfully, the smaller battery means the iPhone 7 is much faster at charging than the iPhone 7 Plus, despite the lack of fast charging. It takes around an hour and fifteen minutes to fully charge, although you will have to use a third-party charger with higher output current than Apple’s in-box charger. 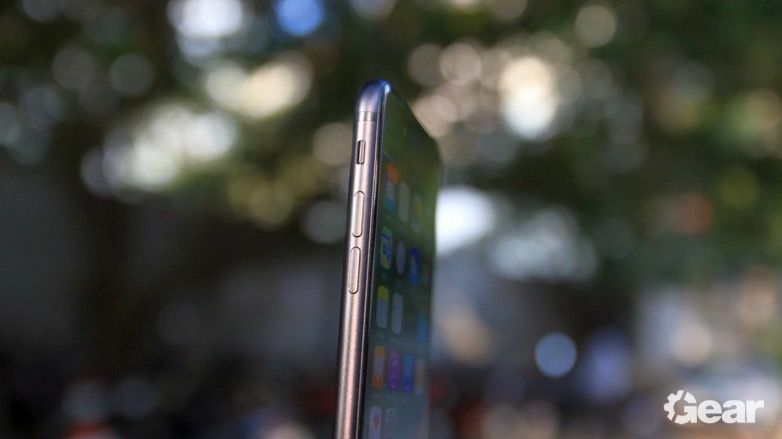 For the third year in a row, the smaller iPhone isn’t the best iPhone your money can buy. That spot is reserved for the iPhone 7 Plus, but for the first time, the regular iPhone is extremely close to its Plus cousin. 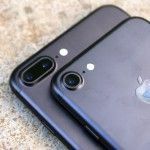 The iPhone 7 disappoints only with the short battery life – it also doesn’t have the gimmicky-yet-fun-to-use secondary rear camera of the iPhone 7 Plus – but in all other respects, the iPhone 7 is as excellent a phone as the Plus model. I should also point out that like the iPhone 7 Plus, the iPhone 7 doesn’t have the best camera on the smartphone market. Google’s new Pixel phones (which we are currently reviewing) and the Galaxy S7 and Galaxy S7 edge take better photos than the iPhone 7 in many conditions, and even the OnePlus 3 (review) can sometimes match Apple’s newest phone when it comes to camera quality despite costing less than ₹30,000. 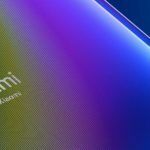 The competition is also offering better displays – AMOLED displays on the Android competition might go over the top with their vivid colours, but isn’t that what we all want from our smartphones displays anyway? Yet, the iPhone 7 remains an excellent choice for anyone looking for a compact flagship smartphone. It’s a great upgrade for iPhone 6 owners, although iPhone 6S owners would do well to wait it out another year before upgrading. In the Android world, the Galaxy S7 (review) is the primary option if you’re looking for the best (it’s much cheaper than the base model of the iPhone 7 as well), and you can also take a look at the HTC 10. But if you really must stick to the Apple ecosystem and don’t like the idea of a huge screen, then the iPhone 7 is worth your hard-earned money. Don’t forget to check out our iPhone 7 Plus review for details on the camera and software, which are the same as for the iPhone 7.